Insights into the battle against counterfeit semiconductor products, which is vital to ensuring safety and control in electronics manufacturing. As with every type of product, ranging from jewelry to wine to currency, semiconductor products can be counterfeited. Semiconductors are the “brains” inside critically-important electronic systems, including healthcare and medical equipment, electric power grids, communications systems, automotive braking and airbag systems, and military and aerospace systems. Because they control the operation of these and other vital electronics, counterfeit semiconductor components pose major risks to the health, safety, and security of people worldwide. Often harvested from electronic waste (e-waste), most counterfeit semiconductors are components re-marked to indicate they are newer than the original units or they perform to a higher standard. Semiconductor companies and their Authorized Distributors, Authorized Resellers, and Authorized Aftermarket Distributors/Manufacturers have extensive, proven controls to ensure products are properly manufactured, tested, handled, and stored to prevent failures. Counterfeiters have few if any such controls. The result is that, unlike legitimate semiconductors from authorized sources, counterfeits and other semiconductors available from non-authorized sources often have low quality and poor reliability. Due to the dangers posed by counterfeits, the Semiconductor Industry Association (SIA) Anti- Counterfeiting Task Force (ACTF) continuously works to curtail the supply and demand for these illegal products and to educate customers on how to avoid purchasing counterfeits. The ACTF works closely with government agencies worldwide, including Customs and other law enforcement agencies, to identify and stop parties involved in manufacturing or trafficking in counterfeit goods. In addition, the ACTF has been instrumental in driving anti-counterfeiting legislation, regulations, and policies. The ACTF conveys counterfeit component avoidance strategies via conferences, webinars, and white papers. Counterfeit semiconductor products have proliferated due to poor purchasing and supply chain practices. Counterfeit components reported to SIA member companies and reported through the Government-Industry Data Exchange Program (GIDEP) consistently involve purchases from open market sources that are not authorized by the Original Component Manufacturers (OCMs) to manufacture or sell semiconductor products. The open market includes independent distributors, brokers, and on-line component exchanges that obtain products from a wide range of suppliers. Unfortunately, some suppliers either intentionally or unknowingly introduce counterfeits into the open market supply chain. The only way to ensure that semiconductor components are authentic, and have optimal quality and reliability levels, is to buy them exclusively through authorized sources. The upfront costs of products purchased through authorized sources are sometimes higher than those offered by open market sources. However, products purchased through authorized sources are usually more cost effective in the long term, since they have superior quality and reliability levels, and carry full factory warranties. Reports of counterfeit semiconductors first became widespread during the 1997-2000 dot-com boom, but counterfeit semiconductors have been around since at least the 1970s. Although counterfeit semiconductors are not a new problem, there is no universally accepted definition of counterfeit electronic components. In January 2010, the Bureau of Industry Security, which is part of the US Department of Commerce, published a report that defined a counterfeit electronic part as “one that is not genuine because it: is an unauthorized copy; does not conform to original OCM design, model, or performance standards; is not produced by the OCM or is produced by unauthorized contractors; is an off-specification, defective, or used OCM product sold as ’new’ or working; or has incorrect or false markings or documentation, or both.” This is an excellent definition for a counterfeit semiconductor, albeit rather lengthy. A task force of experts on counterfeit semiconductors from six worldwide semiconductor industry associations has agreed on the following more concise definition: “Semiconductor counterfeiting is considered the act of fraudulently manufacturing, altering, distributing, or offering a product or package that is represented as genuine.” As with other counterfeit goods, counterfeiters are trying to trick purchasers into thinking they are buying legitimate products. the dot-com boom in the late 1990s and subsequent periods of strong semiconductor demand resulted in extended lead-times and rising prices for semiconductor components that made these components attractive to counterfeiters. increased environmental awareness resulted in electronics waste (e-waste) no longer always ending up in landfills. Instead, electronic components were often removed from scrap circuit boards sent for “recycling,” and some of these used components were then refurbished and remarked to indicate they were new and/or higher performing components. tens of thousands of independent distributors and brokers worldwide established Internet sites to buy and sell semiconductor products outside of the traditional supply chain of OCMs and their Authorized Distributors/Resellers. As with other industries, the Internet and electronic commerce have facilitated the sale of counterfeit and otherwise questionable components due to the ease and speed at which companies and individuals can establish professional-looking Internet sites and then quickly change company names, web addresses, contact information, etc. in an effort to avoid liability. component purchasers increasingly focused on price and availability, often ordering semiconductor products from Internet-based brokers and on-line exchanges offering the lowest prices and “immediate” delivery. While in the 1970s and 1980s there were negligible counterfeit semiconductors in the supply chain, beginning in the late 1990s, the combination of the above developments allowed counterfeit semiconductors to proliferate. Many Original Equipment Manufacturers (OEMs) and their Contract Manufacturers (CMs) were oblivious to the risks of counterfeit components until they encountered high failure rates in their production lines and/or large warranty claims that were subsequently found to be due to counterfeits. OEMs and CMs have understandably been reticent to publicize their problems and associated financial losses due to counterfeit components, but these losses can be huge. 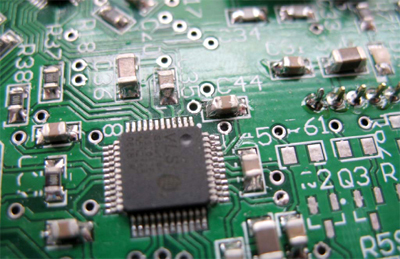 In addition, field failures of electronic systems due to counterfeit components can severely damage the reputations of OEMs that otherwise provide reliable products. Fortunately, OEMs and CMs are able to easily avoid counterfeits by always buying semiconductor components either directly from OCMs or directly from OCMs’ authorized distributors. Many component buyers are not aware that older, out-of production products that are not available through most OCMs’ authorized Resellers, are still generally available through authorized aftermarket distributors/manufacturers who buy end-ofproduction products and/or obtain licensing to reproduce the original products. These authorized partners of legacy products literally have billions of older products that meet all of the storage, handling, transportation, performance and reliability requirements of the OCM. As counterfeiters have refined their “manufacturing” processes, making authenticity determinations has become increasingly difficult for everyone except the OCM. Years ago, many counterfeit semiconductors had irregular solder on external package pins, poorly-marked logos, sloppy alphanumeric characters, and/or evidence of package surface sanding or “blacktopping.” These and other telltale signs of counterfeiting made it easy for anyone with a good, low-power microscope and some general training to identify the more blatant counterfeits. Some of these older, relatively crude counterfeits are still available through non-authorized purchase sources. More recently, however, counterfeiters have become far more sophisticated. For example, semiconductor package surfaces and external pins/solder balls as well as package markings (including logos) may be essentially identical to those on legitimate products. In addition, tubes, trays, reels, dry-pack bags, desiccants, humidity indicator cards, shipping boxes, shipping labels, certificates of conformance, and other packing materials and documents may be counterfeit or forged and may be indistinguishable from those used for legitimate shipments. Moreover, while very low retail prices were historically an indicator that components were likely bogus, counterfeits now often cost nearly as much as legitimate components, thus boosting the profits for counterfeiters and their supply chains while making retail prices a poor indicator of product authenticity. Many third-party laboratories and some OEMs and/or Contract Manufacturers (CMs) claim they can make authenticity determinations with a high degree of accuracy, but this often is not the case. Various standards, including SAE AS5553 and IDEA-STD-1010, provide detailed guidelines on identifying counterfeit components. These standards are sometimes helpful in identifying counterfeits where component packages have obviously been “refurbished” and/or components have been re-marked. However, SIA member companies have numerous examples where third-party laboratories reportedly using these standards have made incorrect authenticity determinations. Moreover, these standards are generally ineffective for identifying the latest forms of counterfeiting. For example, counterfeits where used, low-grade, or second-source die are assembled in new packages and are marked as higher-grade components would likely escape detection. In addition, some of the test techniques used for counterfeit detection that are considered non-destructive can cause subtle damage to components. For example, x-ray inspection can result in shifts in key electrical parameters for components, particularly in the case of high-performance products. Third-party laboratories and OEMs/CMs routinely conclude that components are legitimate based on their own electrical testing, which usually consists of curve tracer testing that measures the current vs. voltage characteristics of component pins. However, while curve tracer testing can identify the most obvious counterfeits, this and other simple bench-top electrical testing cannot begin to replicate OCMs’ thorough electrical testing of ICs using expensive Automatic Test Equipment (ATE) running up to thousands of lines of test code. Curve tracing only checks a few transistors connected directly to each IC pin, while ATE testing by OCMs with proprietary test programs assesses the full functionality of even the most complex ICs that can each have millions of transistors. Thus, unless ICs have been tested on OCMs’ ATE that is designed to ensure only high quality and reliability products are shipped, conclusions about product authenticity should never be based on ICs “passing” electrical testing. A common problem with authenticity testing is working on the false assumption that testing samples pulled from a population of suspect parts will allow conclusions to be drawn about all the parts. Due to the time and expense of conducting laboratory tests to try to identify counterfeits along with the destructive nature of some tests usually only a small fraction in a shipment of suspect components is tested. However, counterfeiters are familiar with sampling protocols, and thus they often ‘seed’ legitimate units at the beginning and end of tubes and reels so that if these easily-sampled parts are tested they will pass. Even in cases where good parts are not ‘seeded’ in an otherwise counterfeit reel, tray, or tube of parts, any assumption that a population of parts is homogenous is almost always incorrect in the case of counterfeits. More specifically, due to the variability in the processes used during the ‘manufacturing’ of counterfeits, only some of the parts may be damaged by mechanisms such as ESD, corrosion, die or package cracking, etc. The bottom line on authenticity determinations made by anyone other than the OCM is that they are time-consuming, expensive, and often inaccurate. Moreover, even if testing correctly identifies that components are authentic, there is no way to prove that components outside the authorized supply chain have not been mishandled or improperly stored, thus jeopardizing their quality and reliability. Although counterfeiters have become very sophisticated, OCMs can readily make authenticity determinations on suspect products marked with their logos. OCMs incorporate overt and covert features into semiconductor packages as well as packing materials. In many cases, technical experts at OCMs can quickly make authenticity determinations when provided with high-resolution photos of the top-side and bottom-side of semiconductor packages as well as associated shipping labels and packing materials. OCMs’ methodologies for making authenticity determinations are only valuable when they are kept secret, so OCMs do not divulge any details on covert features and authenticity methodologies. In cases where authenticity determinations cannot be made from photos, OCMs can consistently make accurate determinations when provided with physical samples of suspect components marked with their logos. While OCMs are proficient at making authenticity determinations on “their” components, most OCMs limit their authenticity determination services to suspect products detained by Customs and to suspect products that are the subject of law enforcement investigations. This is because many billions of suspect components are available on the open market, and OCMs would need to staff large departments to try to respond to tens of thousands of authenticity requests from independent distributors and brokers as well as individuals or companies buying from these non-authorized sources. OCMs provide extensive post-sales support to customers that buy their products from authorized sources, but, as with other industries, there is no viable business model for OCMs to provide free support on suspect products that may not have been manufactured by the OCM. Again, as with other industries, OCMs support products they sell through authorized channels. directly through authorized distributors and resellers. Each OCM identifies and qualifies their authorized distributors using a broad set of criteria including long term business viability, quality systems, order placement and fulfilment processes, customer support, and customer returns policies. While the details of the processes for selecting authorized distributors vary somewhat between semiconductor companies, the contracts between OCMs and their Authorized Distributors always require them to obtain components solely from OCMs. Contracts specify that authorized distributor relationships can be terminated if distributors ever allow product not sold by them to be “returned.” OCMs periodically audit their dstributors to ensure products are always handled and stored properly to prevent ESD and other damage. These audits also include validating that the distributors’ policies and procedures cannot allow counterfeit or otherwise questionable components into the supply chain. The net result is that, just as with component purchases directly from OCMs, customers buying from Authorized Distributors are assured of receiving legitimate products with high quality and reliability levels.